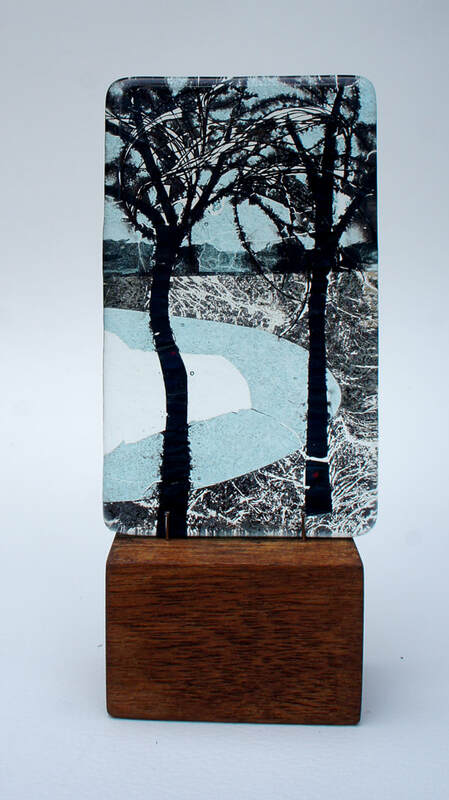 Wendy makes expressive kiln-formed glass pieces, which have a painterly quality to them. 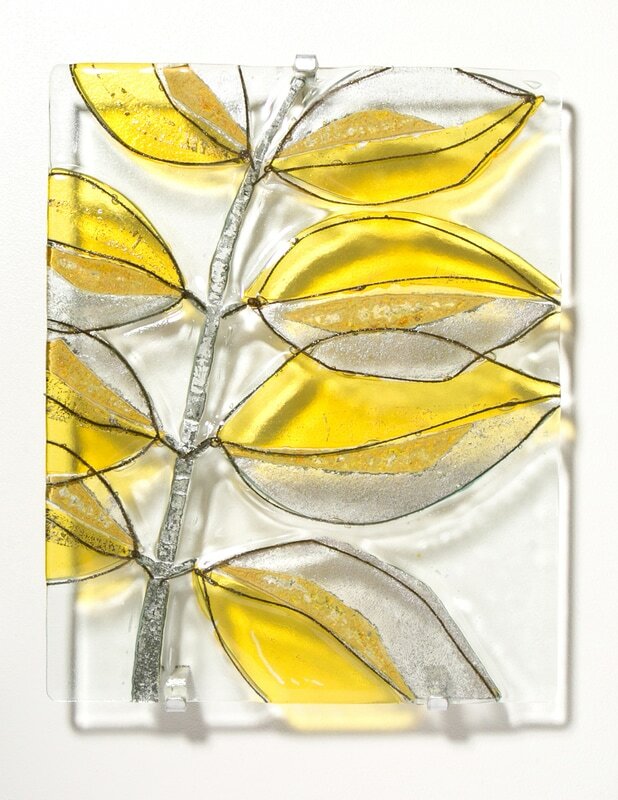 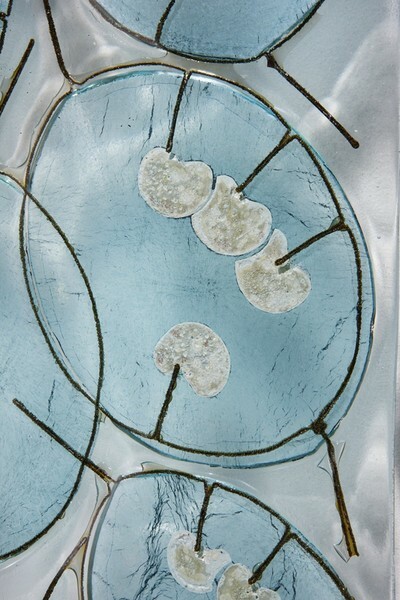 Starting with sheets of float glass she uses inclusions of precious metal leaf and wire to ‘draw’ within the glass. This magical alchemy produces a distinctive palette of subtle colours when the glass is fired. 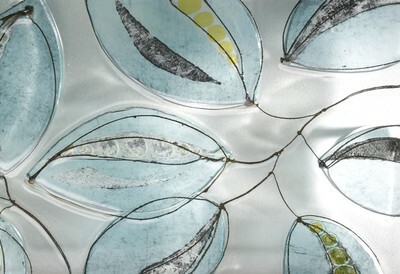 She is continually drawn to the emphasis on form of the repeated image and most of her work is based around repetition. 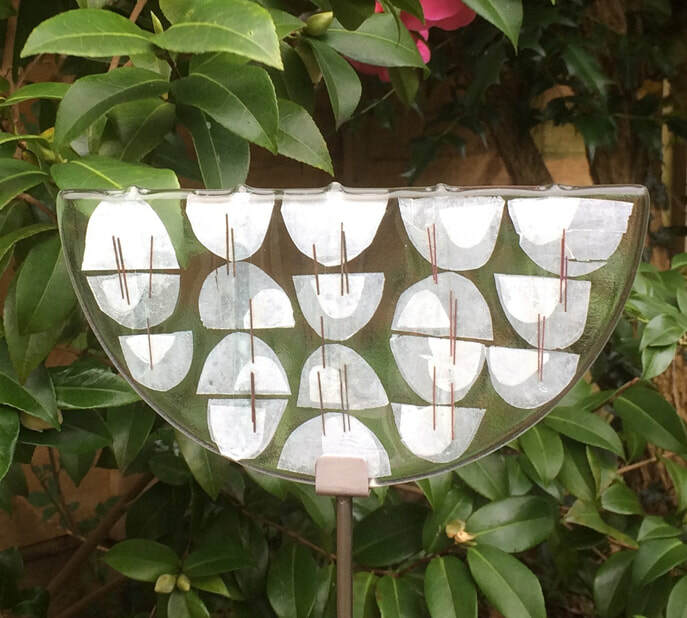 Wendy has been working with kiln-formed glass for twelve years and has developed a distinctive style with her use of materials. 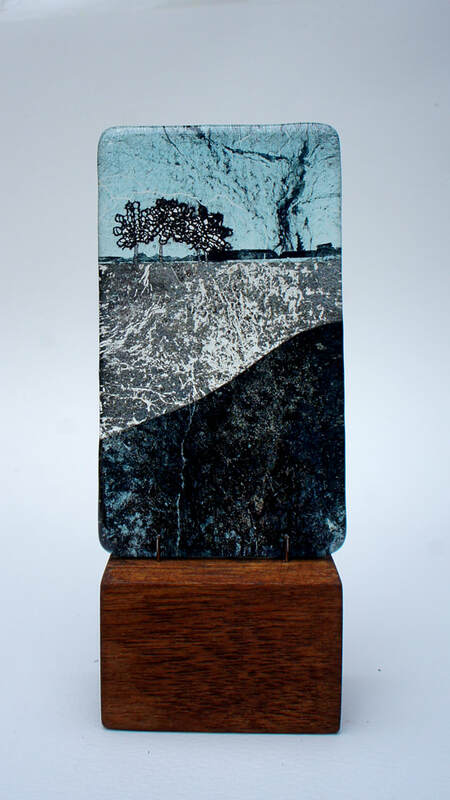 She works in her garden studio in central Oxford and exhibits widely as well as having work in a number of galleries.